I have had good experiences with Missha sunscreen so when I see this on sales at Gmarket, I am more than happy to give this one a try. The one I have tried before is the blue Sun Aqua Gel. This pink one is called a Sun Essence, which I think carries more skin-benefiting ingredients at richer consistency. I also bought the Sun Water, which I am so curious about. I will talk about that one later. 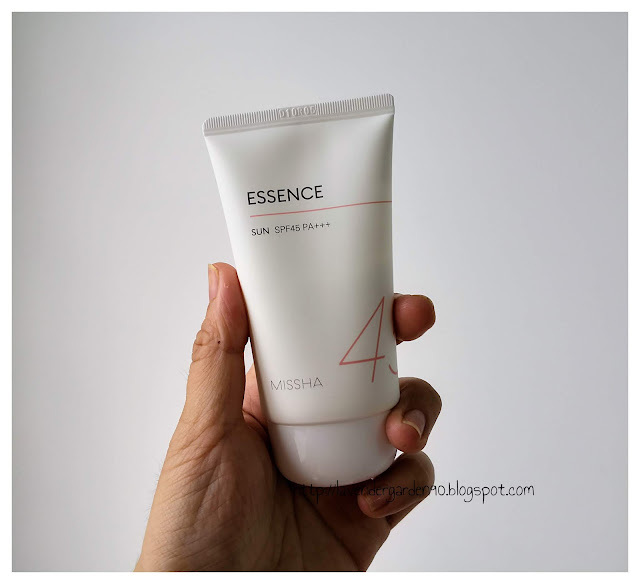 For now, let’s look at this Sun Essence that I have been using deliberately in the past one month! 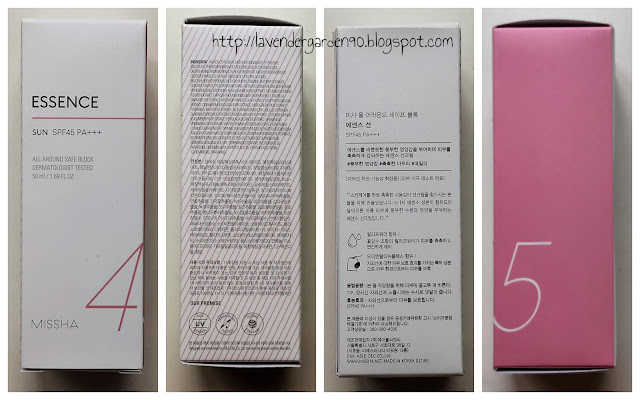 Missha repackages its All Around Safe Block Sun Essence SPF45+ PA+++. Now it looks a lot more minimalist and elegant in my opinion. It claims to be a water- and sweat-resistance sun cream that nourishes the skin while providing ample UVA and UVB protection. This sunscreen is made of octinoxate, octisalate, ensulizole, uvinul A plus, and tinosorb S to provide full spectrum protection for your skin. Among which, octinoxate is a commonly used UVB filter with solid record of safety when applied topically. It is also complimented by octisalate and ensulizole. As for UVA rays, we have uvinul A plus and tinosorb that are fairly commonly seen UVA filters that are more stable than avobenzone. 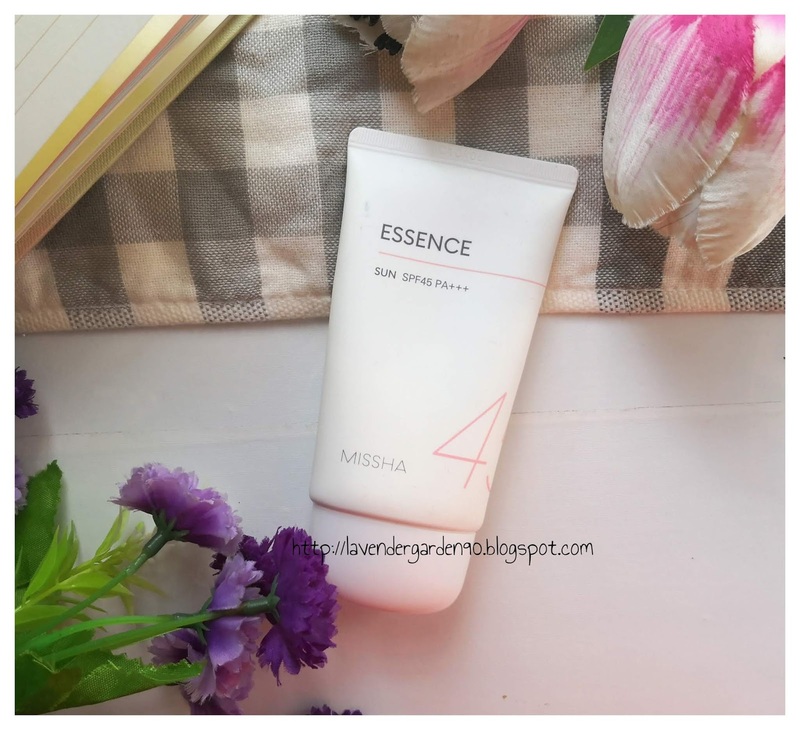 Other botanical ingredients you see in here are what Missha calls the "oriental tea newplex", a form of technology featuring botanical extracts such as green tea, chrysanthemum tea, mugwort tea, mulberry tea, persimmon leaf tea, arrowroot tea, and cinnamon tea. It also has aloe, cucumber, mulberry root, licorice, cactus, witch hazel extracts and so on to hydrate and soothe the skin. Honestly, texture is the best way I can use to test the performance of a sunscreen. I don't have any sophisticated machine with me. Ingredients analysis shows a satisfying result offering full spectrum protection. This sunscreen is a milky emulsion that feels velvety on the skin. It is quite moisturizing hence can feel quite tacky on the skin when applied topically. It has a spicy floral scent that is not overwhelming or unpleasant. It will fare well with dry skin but not normal to combination skin. For those of you who cannot live with "sticky" sunscreen then it is advisable that you don't go for it. 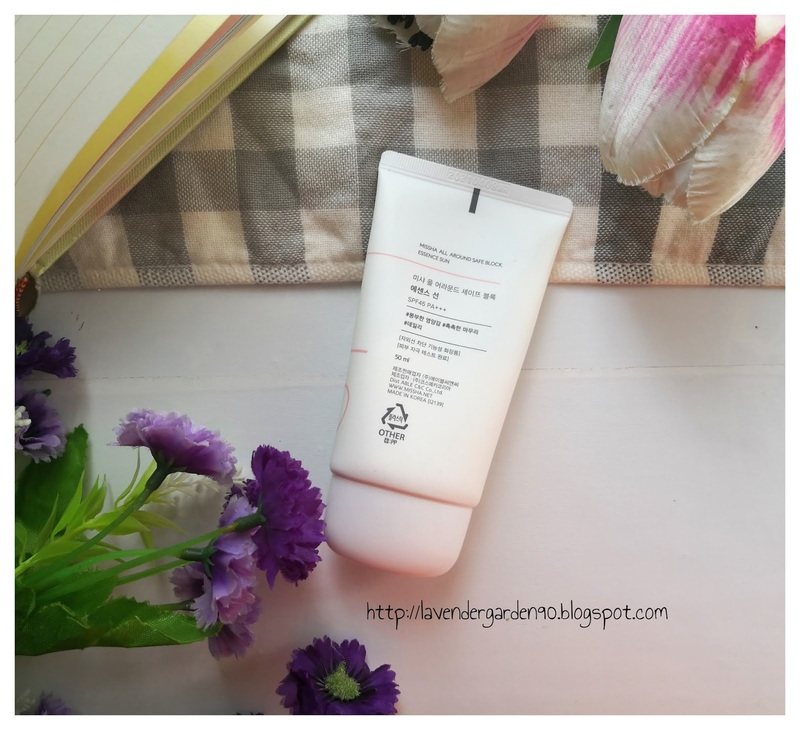 This is a nicely formulated sunscreen with milky emulsion texture that feels quite sticky on the skin when you apply 1/4 tsp, the required amount. It suits dry skin better than normal to oily skin if you are living in a warmer climate. As such, not something I would repurchase in future. I have been discouraged by few friends and colleagues to not use the Missha Sunscreen as it not friendly to oily skin. However, your review suggests that you had a great experience while using it. Who should I trust? I am a little confused.